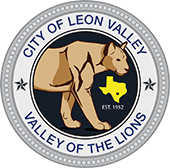 Due to the City Council missing a meeting in January because of the holiday and in an effort to keep the regular agenda lighter, there will be 2 meetings next week. On Monday, February 4th at 6 p.m., a joint workshop with the City Council and the Zoning Commission is scheduled for 6 p.m. Following this 2 hour workshop, the City Council will meet for a special meeting to discuss city business items on February 4th as well. The regularly scheduled meeting for February 5th is still scheduled for Tuesday at 6 p.m. Thanks for your understanding as we attempt to address all issues of importance to the city within a reasonable time period.